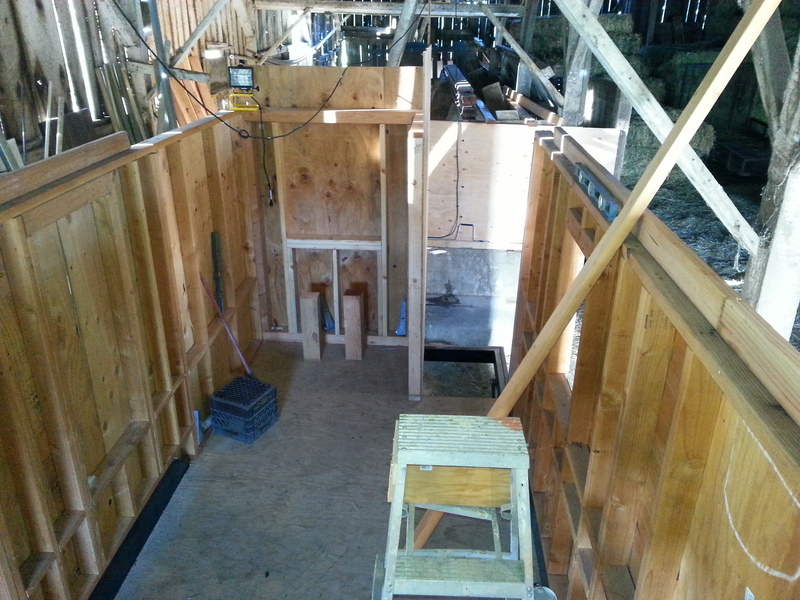 We backed the house into the barn and stored all the materials underneath it or in unused horse stalls in the back. Joseph using the barn beams to plumb the walls of the house. A view from where the lofts are about to be put in. 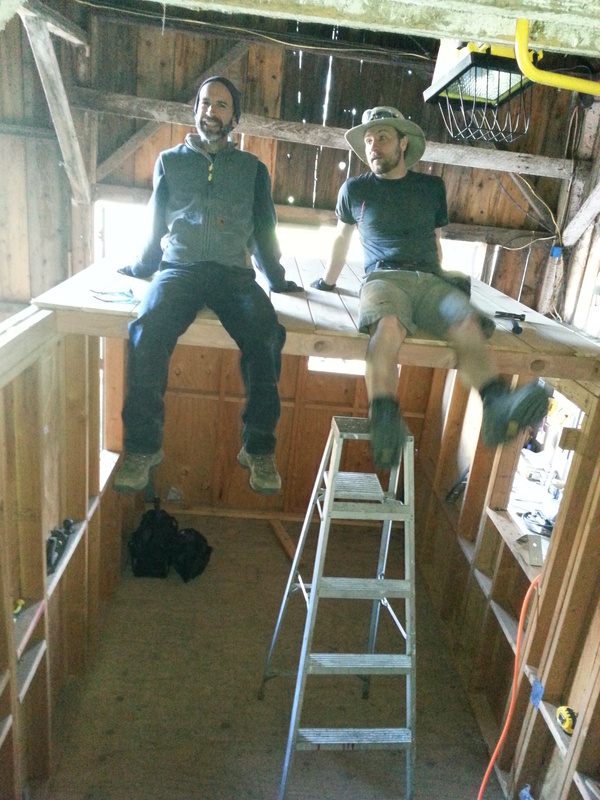 With the help of my friend Edward, the loft gets put into place! Oh how sweet it is. 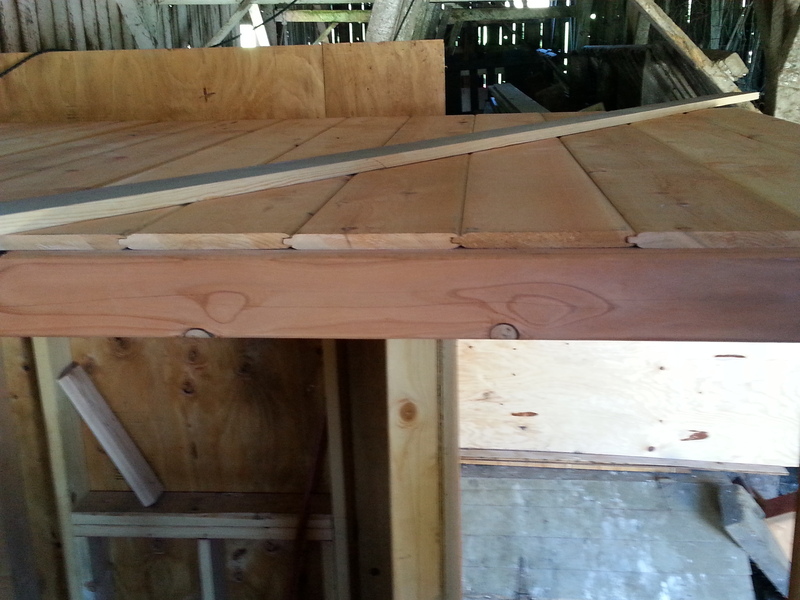 A better view of the redwood beam under the tongue-and-groove cedar loft. Edward and I enjoying the view from what will be the bedroom! Building up the side wall by about 6”. We didn’t extend the sheathing up past our framing (like we were supposed to do), so we’re putting these nifty Simpson plates on, to attach the sheathing and to add to the structural integrity. Simpson plates? $.49 each. Hammer and nails? $21.86. The feeling that our house can whiz down the highway without racking? Priceless. Stuffing insulation loosely into the wall headers. It’s the air that makes insulation do what it does, and if you pack it too tightly, it transfers cold and heat too easily. Here’s Meg helping us out! Things go SO much faster with her around. Good luck in Indiana, Meg…See you soon! Sarah and Meg knocking it OUT! Puttin’ on the Rit…uh…. house wrap! 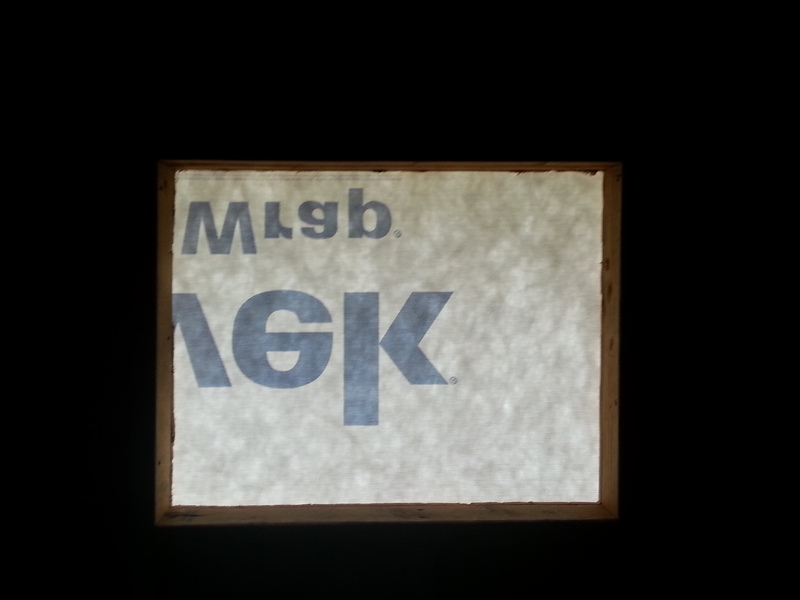 Cutting out the windows and flashing them. Our window nook taking shape! Color test for our cedar siding. We have a winner! Our new/old table saw… They don’t make them like this anymore. How we did without it before, I’ll never know. We want this image as a stained glass window in our work loft. 4 or 6-sided. Anyone know someone who does stained glass? All the windows are IN! 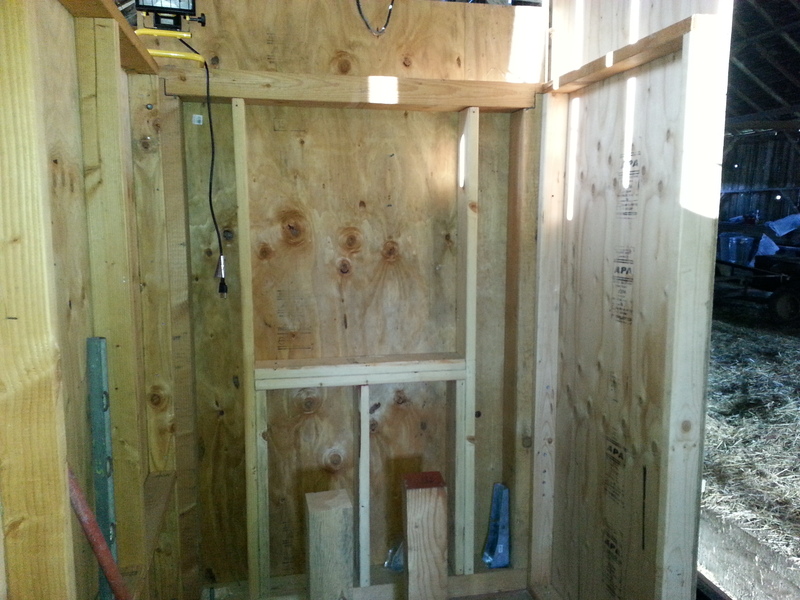 Shimmed and ready for trim, which will also double as window-holder-inners. Breaking the shims off is the fun part. I left a LOT of space to make mistakes for the windows, thinking I’d need the extra leeway to get it right. All I can say is, it’s just not needed. 1/2” on all sides is all you need, and it’s both easier and better insulated if your rough opening is smaller. Live + learn. To put the windows in by myself, I made these jigs for the outside of the window. 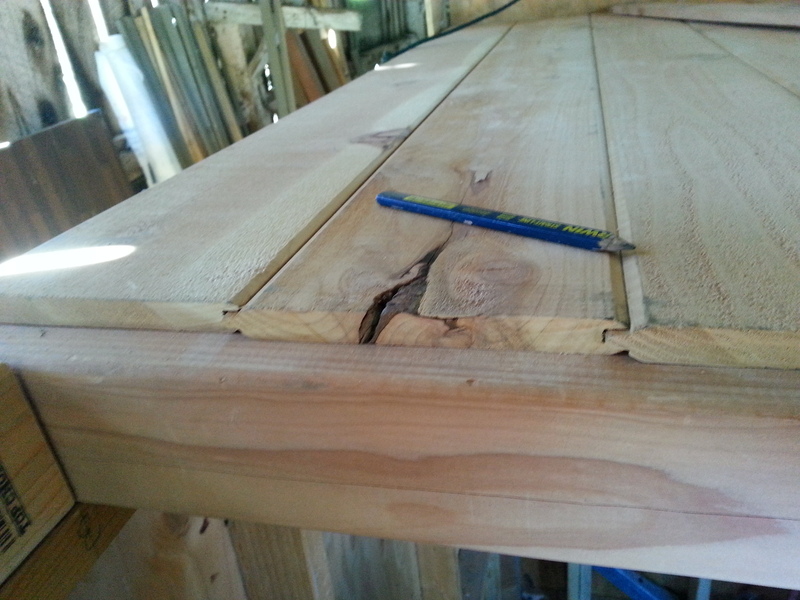 I used them to clamp onto and as spacers to allow for the 1” overhang on the outside. The last window that went in had nailing fins… = cake! That’s all for now. I hope to put up some videos next week about all these things. Also to look forward to: bed vetting, window trimming, painting and figuring out utilities (this one makes me nervous). Oh and lambs and sheep. Plenty more lambs and sheep. Looki’n good ! Happy Spring! Thanks Nick. Happy spring to you too! We’d love to check him out, Thanks for the suggestion Rodger. Also, we’re looking down the tunnel at electric/solar stuff and would love your input in the coming months if you’ve got some time. Thanks for being part of it! Love the pictures you two, you’re making very good progress! I can’t remember if you’d said you were building a Tumbleweed model, or something else. That’s their trailer I think,and it looks like the one for either a Fencl or the Cypress, both favorites of mine. I see your plans show solar panels in the budget, are you planning to wire it in DC by any chance? Thanks Joe. It IS their trailer and we’re building a modified Cypress. We’re going to wire it AC. DC didn’t seem like it had very many benefits for such a small load. The conversion on such a small scale didn’t lose that much power, and kind of a pain to get new appliances that run on DC. What are your thoughts. I’m open to re-exploring this as I haven’t thought about it in a while…and will have to delve back into it pretty soon. Thoughts? I’m with you on this, AC is what I have planned as well. I’m no expert electrician, but aside from the refrigerator, and my PC, the load needed shouldn’t be that high. The Tack house set up is really one of the best I’ve seen. I’ve done a fair bit of research into how people feel about the Outback Solar Systems, by and large the feedback has been largely positive. I’m planning on modeling my own system on what the Tacks have at http://chrisandmalissa.com/blog/2013/5/17/our-electrical-system, but I’m also going to be exploring a WIND turbine as well. You may also want to check out SolMan at http://www.sol-solutions.com they were in Willits until about a year ago, now they’re in Santa Rosa. They’ve got really nice plug and play units, very portable. Hey Joe. Yes the Tack House has a really awesome set up. I wish we could fit that into our budget right now… alas. My plan is to leave space in the wiring etc to some day have a system like that. I’d love it if you shared what you find about turbine electricity. We also live in a windy place at the moment (it’s really howling right now in fact!) and you’re right… tis a shame to let it all go to waste! Hey there!! Coming right along now I see. How exciting! And…I am about to start building mine. 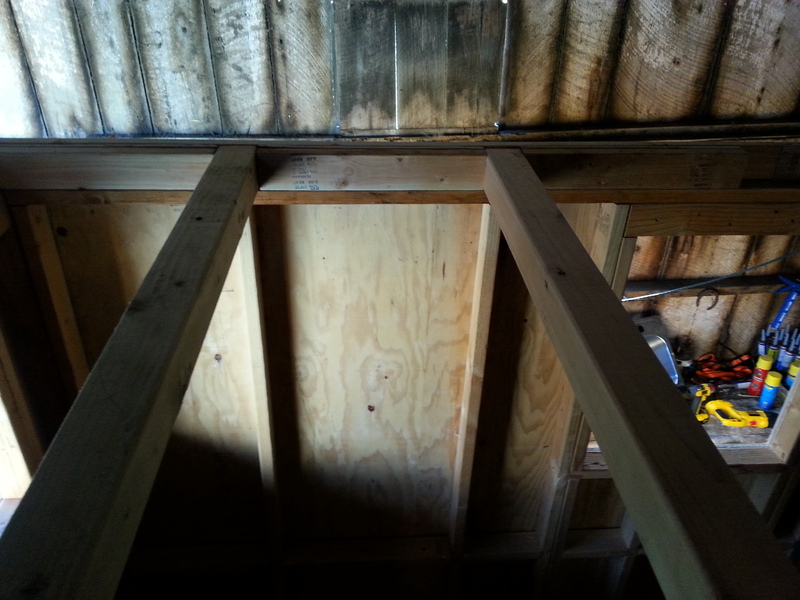 I went to a lumber place today to get the stuff to do the floor and framing. My cousin is going to help. He has some experience in building but this is his first tiny house adventure. I just hope to get it closed in before winter comes again. We don’t have a place to build inside. So I hope it’s a dry summer!! Wonderful, Megan! Good luck with your build process and enjoy!